about his ongoing efforts to convince Congress to make hemp farming legal. 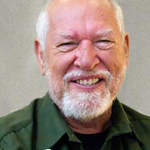 Dr. Dickson Despommier is a microbiologist, an ecologist, and emeritus professor of Public and Environmental Health at Columbia University. For twenty-seven years, he conducted research on cellular and molecular parasitism and held lectures and courses on Parasitic Disease, Medical Ecology and Ecology. From one of these courses, he founded the root for his idea of raising crops in tall buildings; vertical farming. In 2010, he published his widely received book: The Vertical Farm: Feeding the World in the 21st Century. For the past decade, Eric Steenstra has been the Executive Director of the Hemp Industries Association, a non-profit trade association representing businesses, farmers, researchers and investors working with industrial hemp. 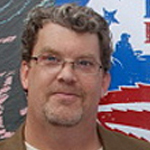 In 2000, Mr. Steenstra pioneered the cofounding of Vote Hemp of which he remains President. Under his leadership, Vote Hemp has become the nation’s foremost hemp lobbying organization, working towards full re-commercialization of industrial hemp.